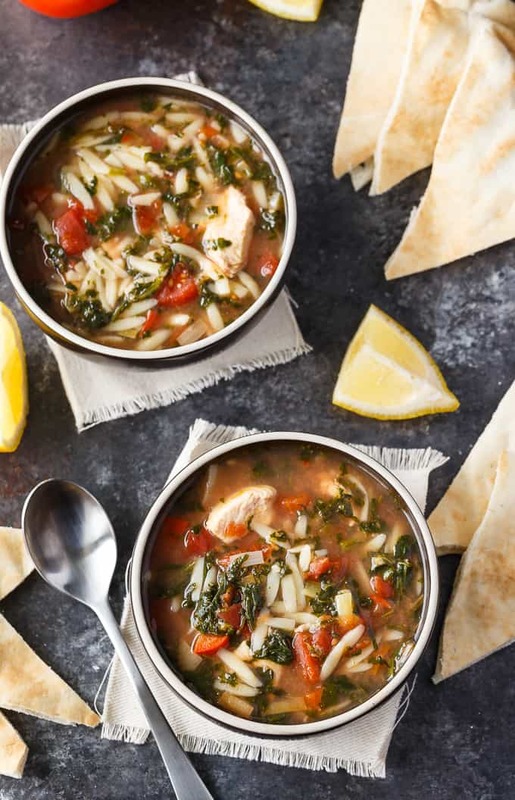 This Greek Chicken Orzo Soup is comfort food made in the slow cooker. 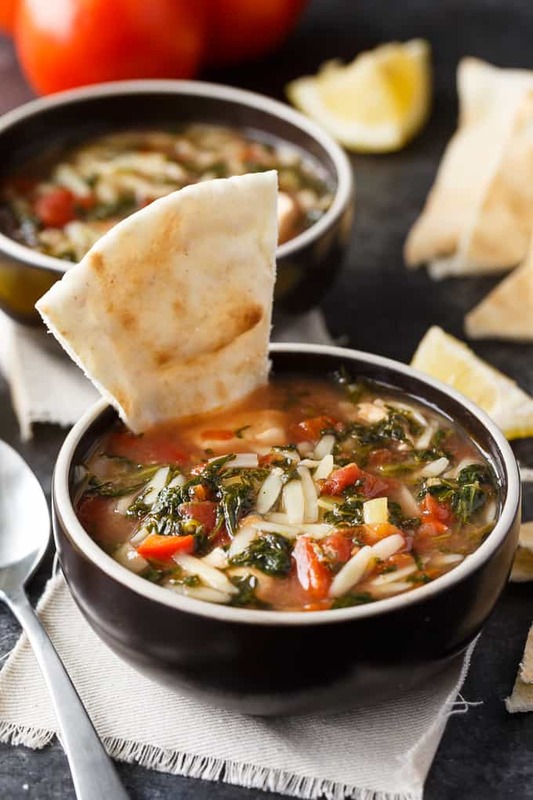 This delicious soup has a Greek twist and is packed full of flavour. It’s been a rough week. We had an unexpected death in the family over Thanksgiving and I’m struggling to cope. I’m not really in the mood for preparing big elaborate meals and having been turning to comfort foods made in my slow cooker. 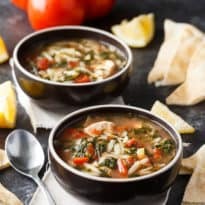 The Chicken Farmers of Canada is one of my go-to sites for recipes and they have an entire section filled with slow cooker recipes. I made one of their slow cooker soups and it was well loved by my family. It’s filled with the nourishment we need to feel better both physically and emotionally. There’s something special about a hot bowl of chicken soup. It has an instant calming effect. This recipe is a twist on the classic chicken noodle soup. It has Greek flavours of dill and lemon and uses orzo instead of regular noodles. I used boneless, skinless chicken breasts instead of the bone-in variety because that’s what I had on hand. I think any cut of chicken would work well. If you use a bone-in chicken, just make sure to remove the bones after you cook. You can really taste the lemon and dill with each spoonful. I cut up some pita bread instead of making pita crisps (I was feeling lazy). It worked well in the recipe and was great for dipping. The soup is not short on flavour. They mingle together perfectly. This recipe is a keeper and one that I’m adding to my regular dinner rotation. Did you know that Canadian chicken is grain-fed and free of hormones and steroids? To be sure you are buying Canadian chicken, look for the mark. It’s a “Raised by a Canadian Farmer” logo that is found on your package of chicken. Not all stores have it yet so if it’s something that is important to you, make sure to talk to the store manager to tell them you’d love to see it. You might also like this Busy Day Soup. Comfort food made in the slow cooker. 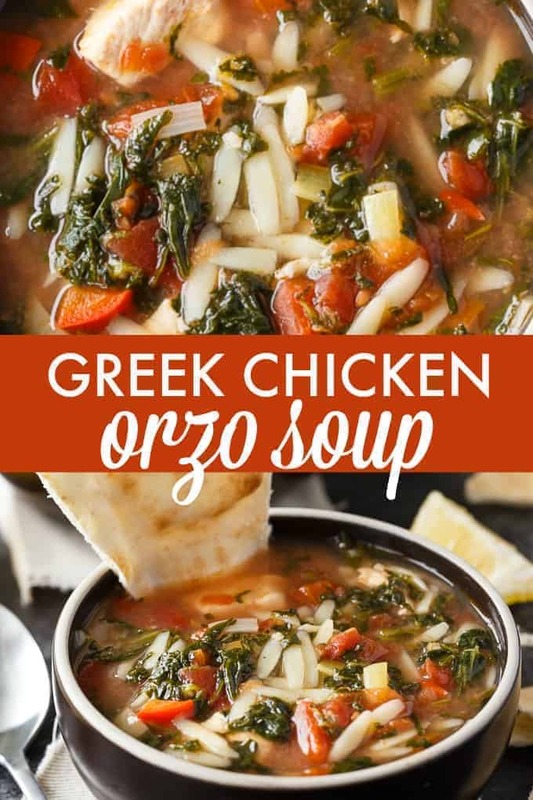 This delicious soup has a Greek twist and is packed full of flavour. Heat oil in a skillet over medium heat. Add leek and garlic and saute until translucent, about 5 minutes. Add red pepper and saute another few minutes. Add to slow cooker. Add chili pepper flakes, dill weed sprigs, bay leaf, cinnamon, tomatoes with juice, lemon juice, lemon zest, salt and chicken broth and stir to combine. Add chicken breasts. Cover and cook on low 6 to 8 hours or high for 4 to 5 hours. Cook the orzo in a saucepan on the stove. Drain. 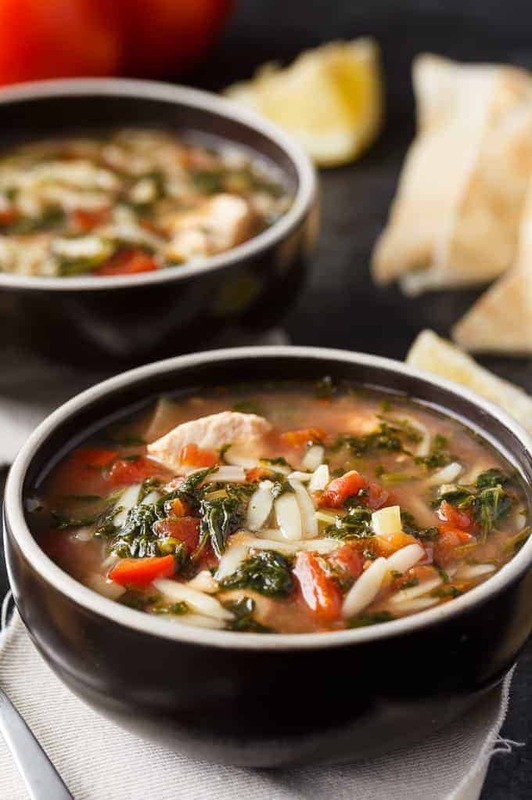 During last 15 minutes of cooking, add orzo and spinach to soup. Remove dill sprigs and bay leaf. Stir. Serve hot. 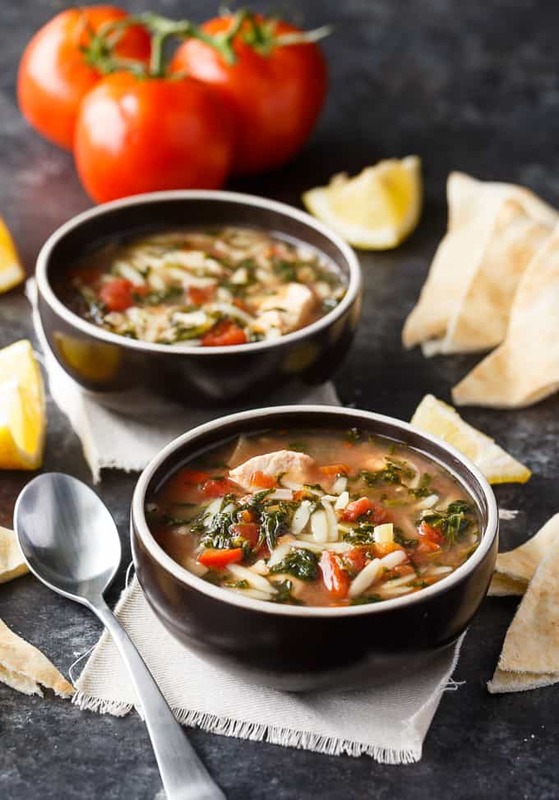 Haven’t cooked with orzo before, but I tried this before .. canned soup version lol. Was good.